We are scarves manufacturer, any style scarves we all can customized for you, such as shawls, women scarf, imitation silk scarf, acrylic scarf and so on. 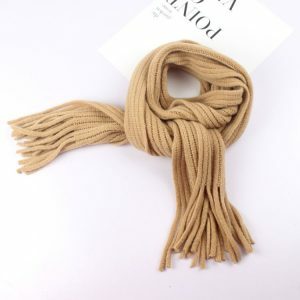 Wool scarf features: Soft and delicate, warm and thick.Good drape, not easy to wrinkle. That is, fabrics made from wool as raw materials are divided into woven fabrics and knitted fabrics. Woven fabric: A fabric formed by interlacing warp and weft yarns perpendicularly to each other. Its basic organization is plain, twill, satin. Different woven fabrics are also composed of these three basic tissues and their varied tissues. Knitted fabric: The yarn or filament is formed into a coil by a knitting needle, and the coils are sleeved with each other. Due to the coil structure of the knitted fabric, the yarn storage amount per unit length is large, so most of them have good elasticity. 1. Hand touch feeling. Pure wool fabrics are usually smooth and smooth, and the long-haired fabrics are smooth and smooth, and have a tingling sensation on the hair. Blended or purified fiber, some are not soft, some are too soft and loose, and have a sticky feeling. 2. Look at the color. 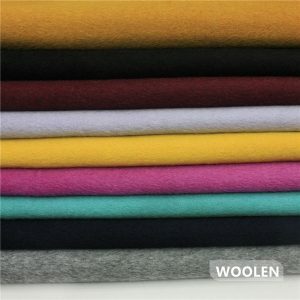 The color of the pure wool fabric is natural and soft, bright and without old feeling. In contrast, blended or purified fabrics, or darker, or flashy. 3. Look at the elasticity. Tighten the object by hand and then let go immediately to see the fabric elasticity. The pure wool fabric has a high rebound rate and can be quickly restored to its original state, while the blended or chemical fiber products have poor wrinkle resistance, and most of them have obvious wrinkles or slow recovery. 4. Identification by combustion method. Take a bunch of yarn and burn it with fire. The smell of pure wool fiber is like burning hair. The smell of chemical fiber fabric is like burning plastic. The harder the particles after burning, the more chemical fiber components are present. 1. Not resistant to alkali, need to use professional detergent to clean. 2. Soak in cold water, gently knead, do not wash vigorously. The shades of clothing should be washed separately. 3. The method of flat drying should be adopted, and the drying should not be carried out. It is best to tiling in a cool, ventilated place, not exposed to the sun. 4. Use softener to maintain the comfortable feel of wool fabric and anti-static. 1. Do not touch sharp, rough objects and strong alkaline objects. 2. Choose a cool, ventilated place to dry, dry and then collect. 3. It should be opened regularly during the collection period to ventilate and keep the wool fabric dry. 4. During the hot and humid season, it is necessary to dry more to avoid mildew. 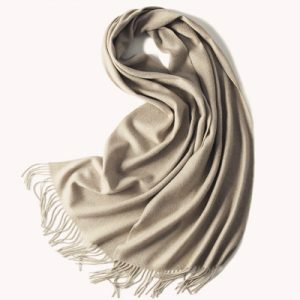 Scarf manufacturers offer a variety of customized scarf, including LOGO design, graphic design, fabric selection, size, color selection and more.And you can read the blog to learn more about the woolen scarf.